Is your marketing team using data to find out what’s working? Can team members track progress against key performance indicators? With Wave Analytics you can instantly find answers that lead to more effective marketing strategies. Read this e-book to learn about the five questions that should matter to every marketing department — and discover how Wave Analytics can help you find the answers. Is your marketing team using data to find out what’s working? Can they track progress against key performance indicators? With Wave Analytics you can instantly find answers that lead to more effective marketing strategies. 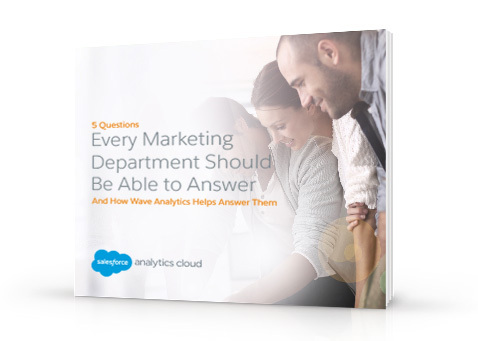 Read this e-book to learn about the five questions that should matter to every marketing department—and how Wave Analytics can help you find the answers.